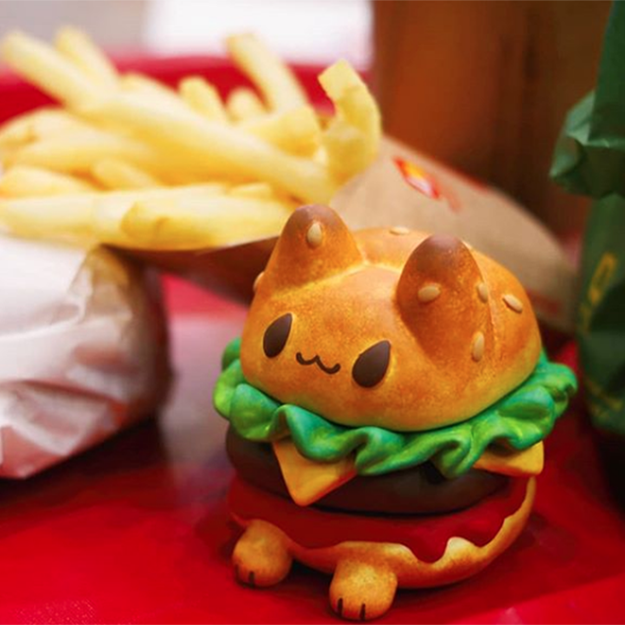 Get ready for a mouthful of cuteness with Rato Kim’s Box Burger Cat! 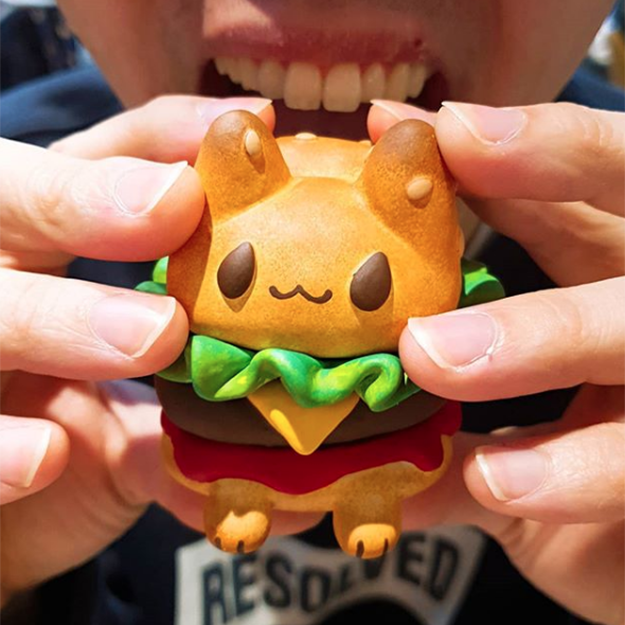 This version of the popular Boxcat takes on another level as this version is made of resin, looking more like a yummy burger. 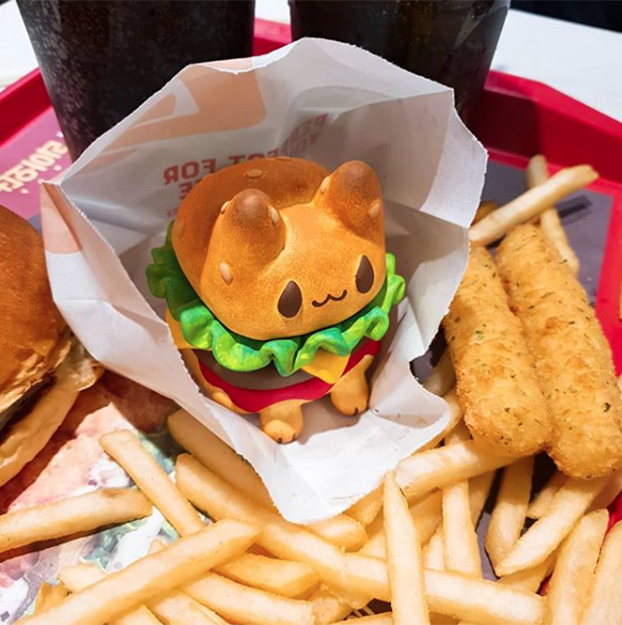 The details on this toy is amazing as well-a sesame bun Boxcat body keeps all the “contents” together. It looks like a life-size burger doesn’t it? 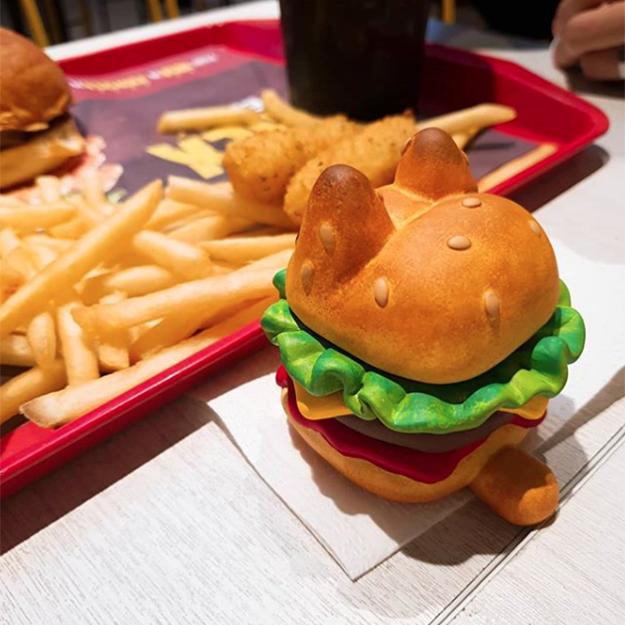 To see more or learn how to place an order for your own Box Burger Cat, head over to Kim’s Instagram.